Congrats to Bailey P and Margaret A who won the Giveaway!!! And once again, a huge THANKS to all the small businesses who donated their goods! You guys are the best and I'm so grateful for the way that you spread good cheer. Advent starts on December 2nd, about two weeks from now. Did your chest tighten a bit from stress when you read that? Mine did when I wrote it. It can be super stressful so let me help with that. This Advent Giveaway is a Care Package to two of you from me and all the wonderful crafters, makers, and small business owners who donated their beautiful, exceptional, hard work. The value of this giveaway is $900! That means that each winner will receive a Care Package worth $450! I am so, so grateful to all the vendors and crafters who donated items. People are so generous and so I hope that you thank them by showing them some love. 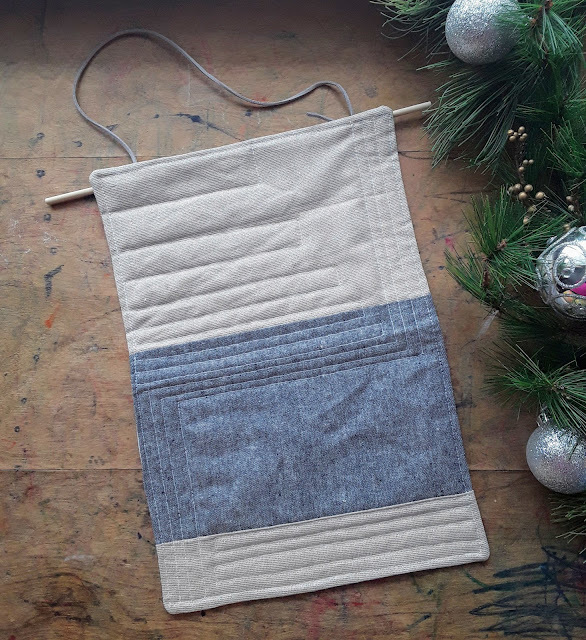 Follow their social media accounts, favorite their Etsy shops, share their work and shop names with friends, and best of all: purchase from them, either now or in the future. Directions to enter and all the fine print are at the bottom. Now check out all the goods! 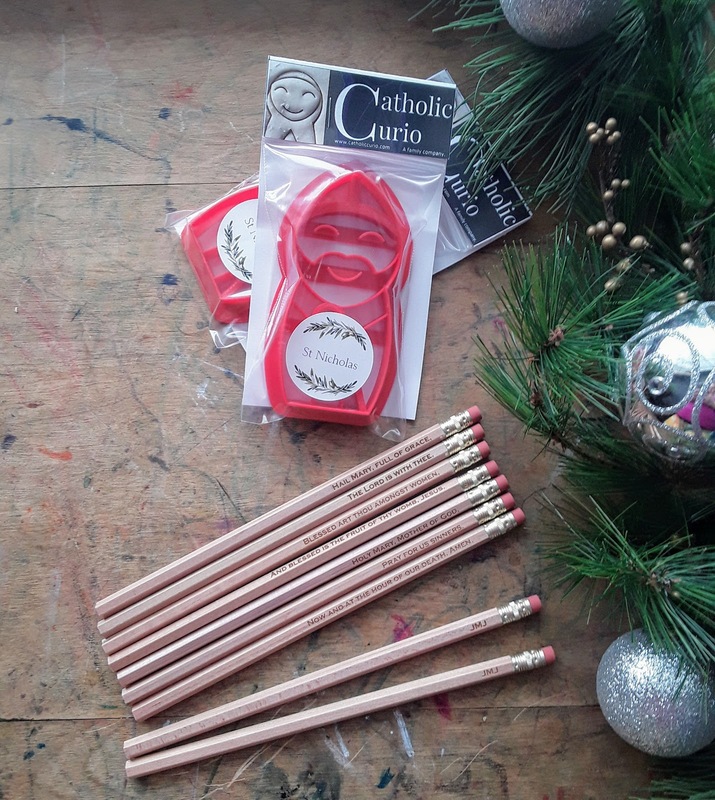 Mailing list, email catholiccurio@gmail.com with OPT IN in the subject line. Coupon: BONNIE10 for 10% until Black Friday. 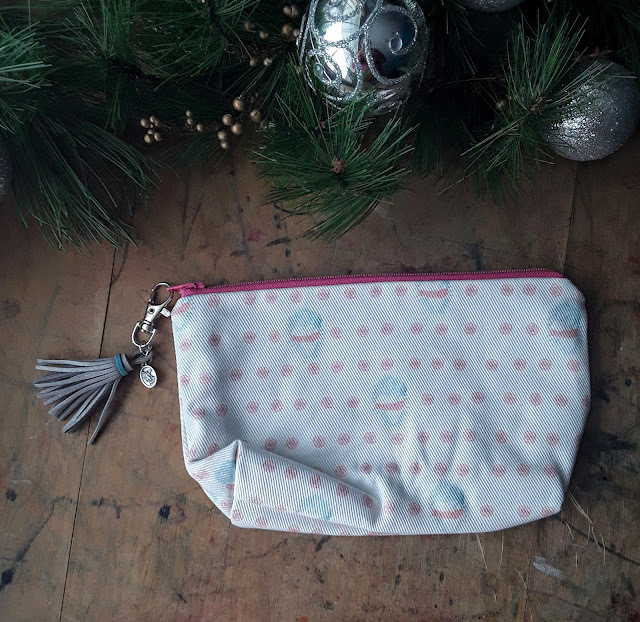 Black Friday through Cyber Monday 15% off the entire shop + use SMALLBIZ2018 for free shipping on Small Business Saturday. Coupon: Bonnie10 for 10% off anything in the store through the end of December. Sign up for the mailing list for special Black Friday, Small Business Saturday, and Cyber Monday deals here. Coupon: 15% off entire shop with SUPPORTSMALL from Black Friday - November 30th. Limited supply Storybook maps discounted, no code needed. Color-As-You-Go Liturgical Calendar, inspired and informed by the Ordinary Form of the Catholic liturgy. The full, 365-day calendar year is represented on a single sheet of 12x18" heavyweight paper. Purchase the full-color version to display side-by-side. 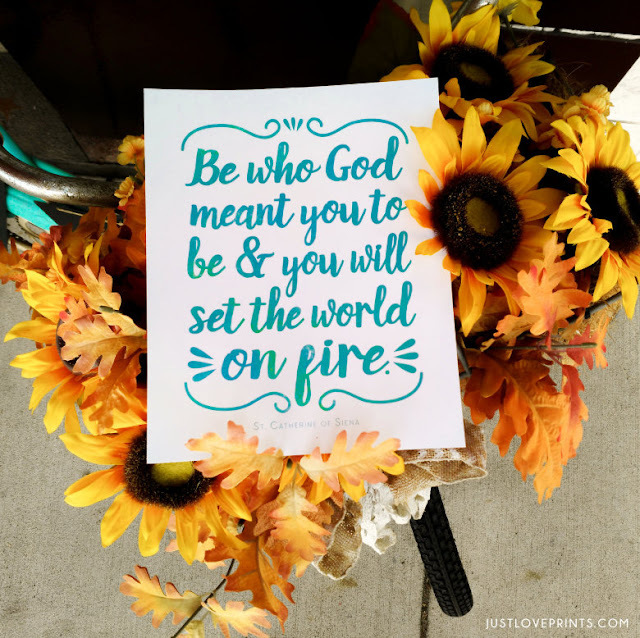 Great for teachers, religious education classrooms, or around the home! Join the mailing list here for exclusive pre-sales and coupons. P l u s ! I wanted to add a lot of little extras because a lot of the time it's the little things that can fill the gaps, right? So here's a few more of my favorite things. All of these items were purchased by me for you! One winner will be drawn from the blog and one from Instagram. Care Packages will not have the exact same content but will be of equal cash value. To enter on the blog you must leave a comment below - tell me which item you're most excited to win and BE SURE TO GIVE ME YOUR EMAIL ADDRESS. Your email will only be used to contact you if you are the winner and entries without email addresses will be disqualified. 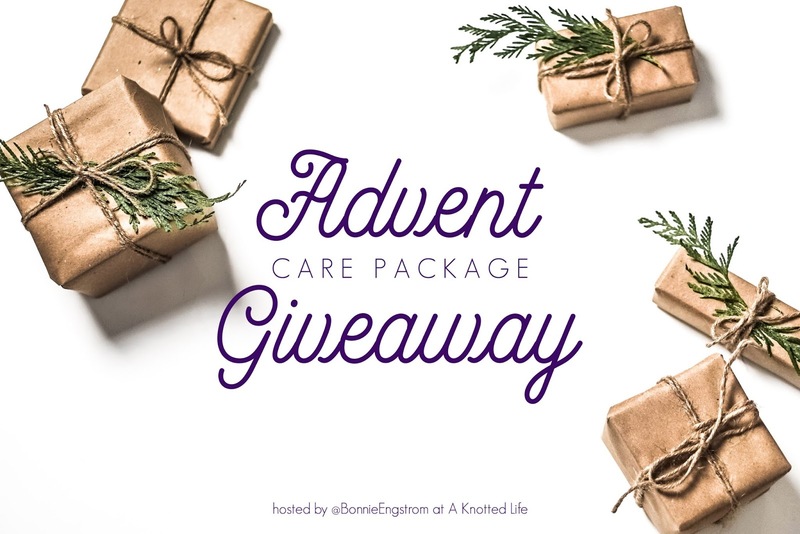 To enter on Instagram you must go to the main Advent Care Package Giveaway post (here) and follow the directions there. Instagram is in no way responsible for this giveaway nor is this giveaway sponsored, endorsed, or administered by or associated with Instagram. The giveaway was extended and now ends Tuesday, November 20th at 3pm CST, or basically once I close comments. The two winners will be announced here, on Instagram, and on the A Knotted Life Facebook page. The blog winner will be contacted via email and the Instagram winner will be contacted via an Instagram Direct Message. Winners will have 24 hours to respond with their mailing address. If I do not have a response in 24 hours a new winner will be drawn. Open to US residents 18 and older. Sorry international friends. 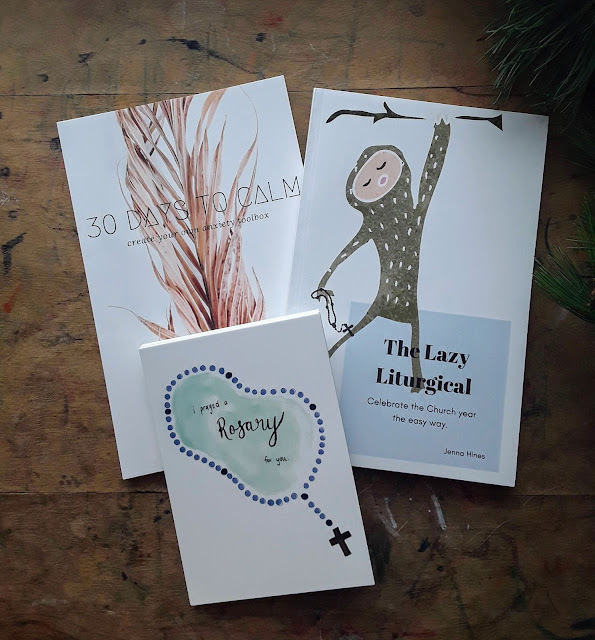 PS - You can find a few of my family's favorite things for Advent and Christmas at my Amazon Store (affiliate link). This store includes albums, movies, games, and other items we really use and really love during the holiday season and all hygge-long. The advent garland is my fav! 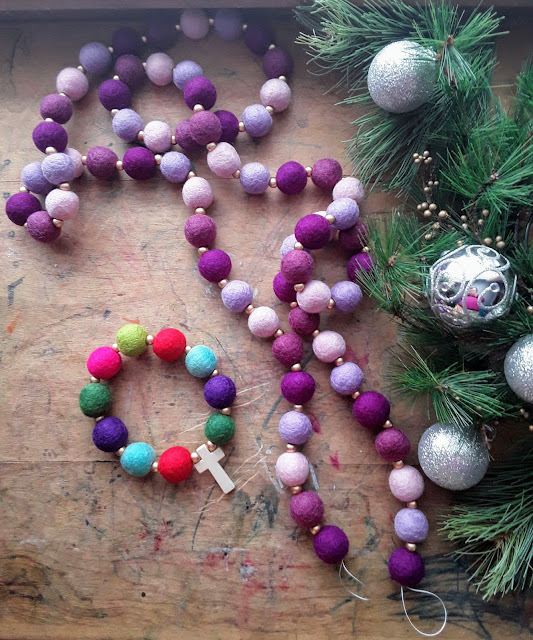 The Lily Joy rosaries and the dolls! So many wonderful items! I love the Holy Family candle! I love the wall quilt - so beautiful! So many awesome things! 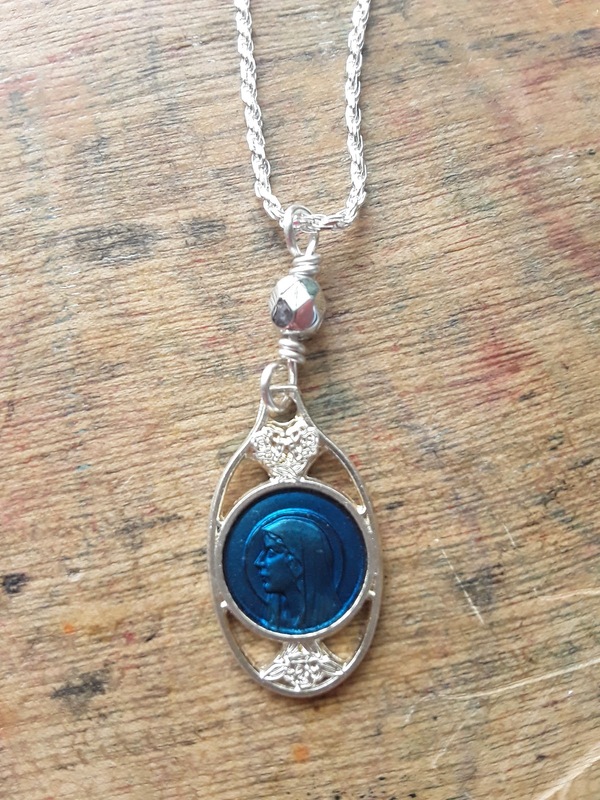 I think I would be most excited for the necklace from Telos Art. Grace of Enough! What an amazing selection of things! It’s hard to choose! Providential co. Holy Family candle! I love the Sterling Silver Madonna and Child on 18" silver chain! So pretty! 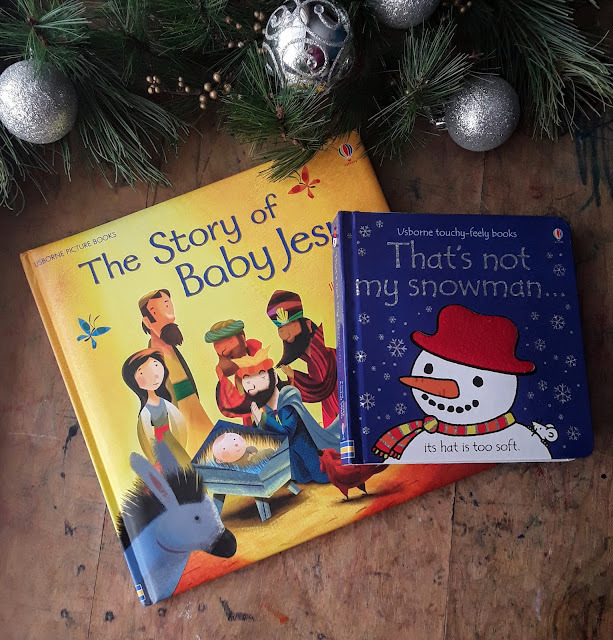 The usborne books by Sara Ortiz so cute and my son and nephew would love them. The mini St. Nicholas and St. Lucy dolls are too cute!! The Our Lady Doll for my LO! The St. Lucy doll! We celebrate her feast day every year and my girls would LOVE her! Can I say all of it?!?! So many things from shops I love!! I do love the St Nicholas cookie cutter, though! I can pick one!!! The cookie cutters, all the prints, especially the Mother of Our Savior one, and the stickers!!!! I love love love the Marekmade dolls! 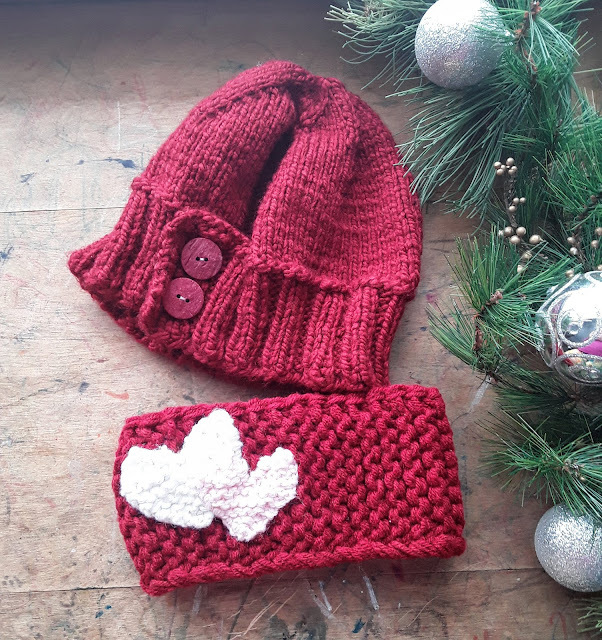 My little girl is Marie after our lady so it would be the perfect gift for her! I really love the Lily Joy designs garlands...they are so beautiful!! The Provincial Co candle!! I always look at them! I love the marzipants dolls! I love the wall quilt! The garland and the books by Laura and Haley! 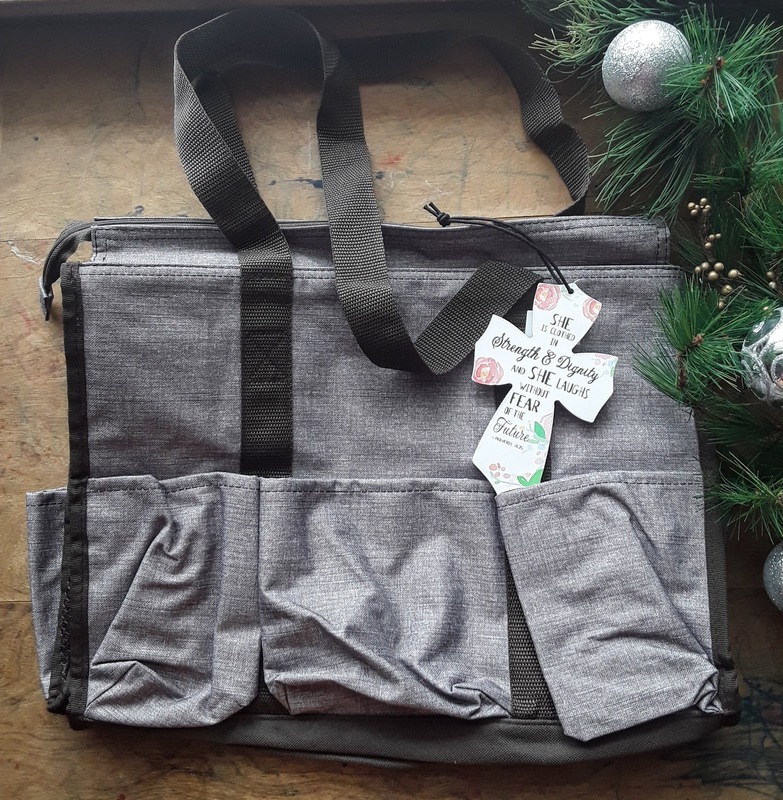 That utility tote is gorgeous - I love the grays. The picture of Mary is lovely! I love that brass and mint co print. I probably need to just buy it if I don't win! And also, I'd love to read that Fanucci's book. Wow, so hard to choose! The St. Lucia doll would be perfect for my daughter! 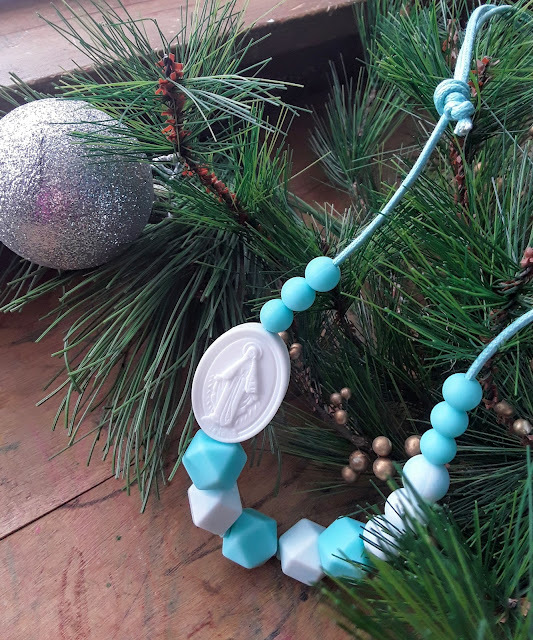 I absolutely love the Advent garland and the dolls from Marekmade and Marzipantz! I'm most excited about the Advent and Christmas garlands! 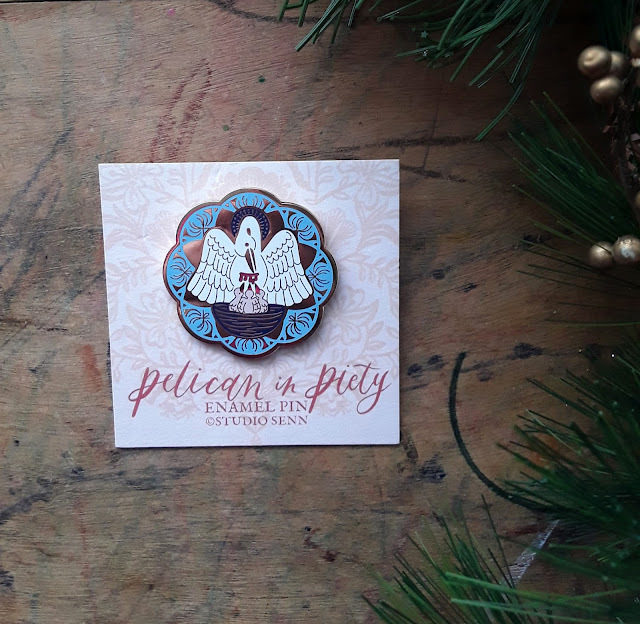 They're beautiful and I don't really have too many Advent or Christmas decorations yet. The Brass & Mint Co print! Can’t choose just one. Love all the lovely goodies! It is all so wonderful! The stickers and fullness from Katie, the beautiful candle, the books, dolls, pencils, prints, everything! The St. Nicholas and St. Lucy dolls! 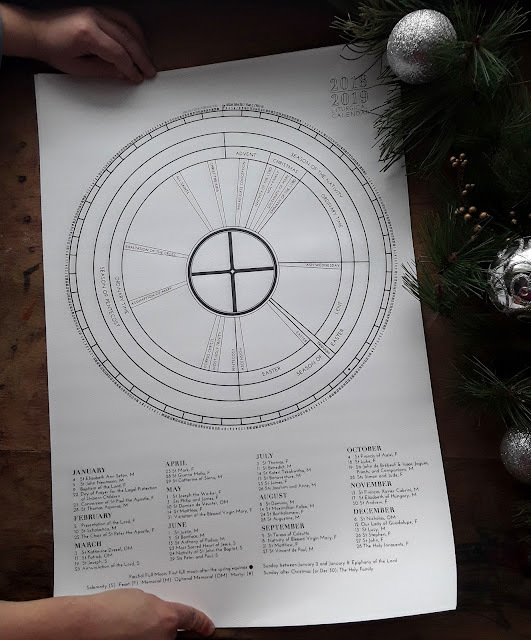 I've got my eye on Kendra Tierney's liturgical calendar. What a great tool for liturgical living! I’m most excited about the Marian doll! I have been eying her shop for a while. So many wonderful items! I think I like the St Nicholas and St. Lucy dolls best. Thanks! all great prizes! I love the marzipants dolls! So many great things! 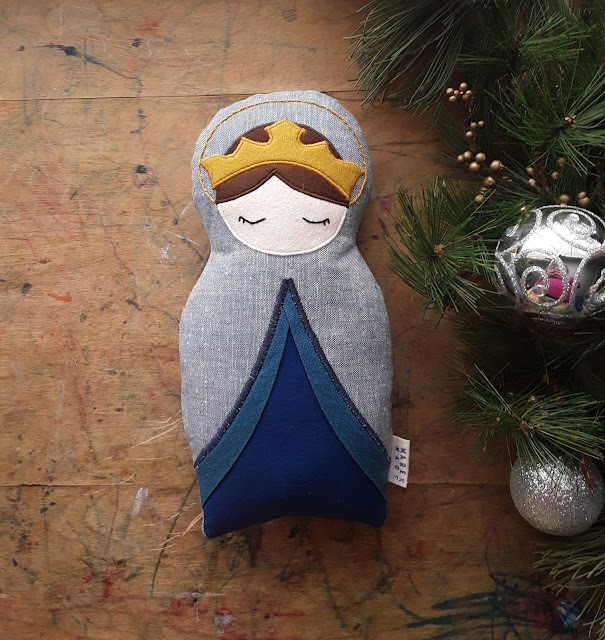 The dolls are so cute for duaghters and goddaughters, but I really love the Advent garland, the liturgical year poster, and the Holy Family candle! Pinaparty02 at gmail dot com. Thanks! 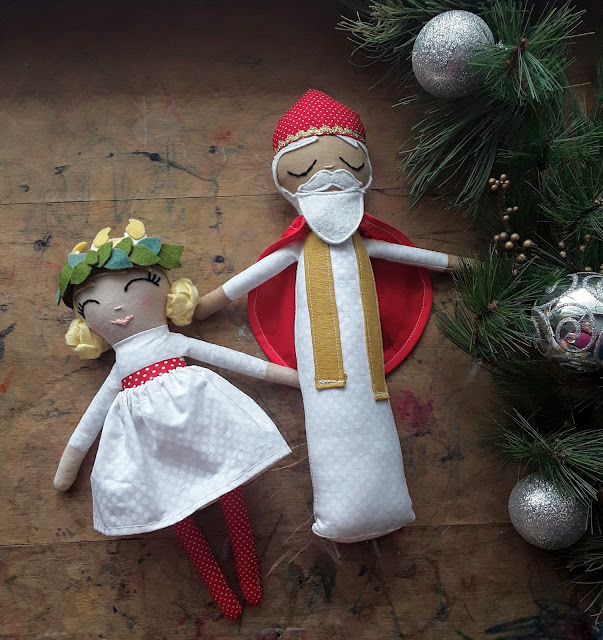 The Saint Nicholas and Sainy Lucy dolls are so perfect! 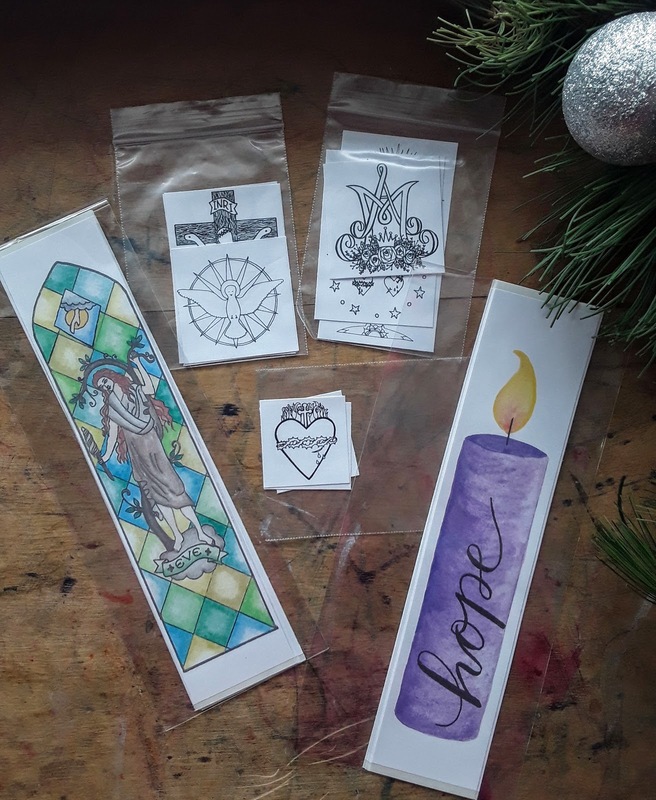 They are two days during Advent that my kids look forward to doing our family traditions! Lmhallrdh@gmail.com! Thanks for putting this together and for all the new shops to follow! The miscarriage book for me & the dolls for my kids! If I have to pick just one that I'd be most excited to receive... the St. Lucy & St. Nicholas from Marzipantz. 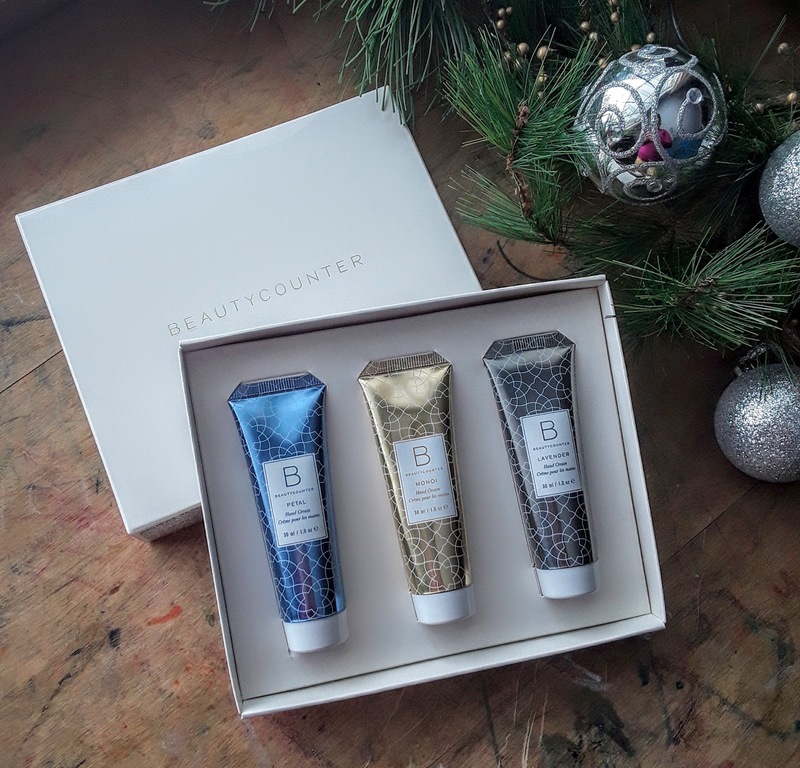 Such a great package of beautiful gifts! Wow! So many wonderful items! It's so hard to pick... Haley's book. Thank you so much for sharing with us! BTW, love your first name! ;) God bless you! This is such a blessing giveaway. I would pick the st Lucy and st Nicholas dolls as a favorite. 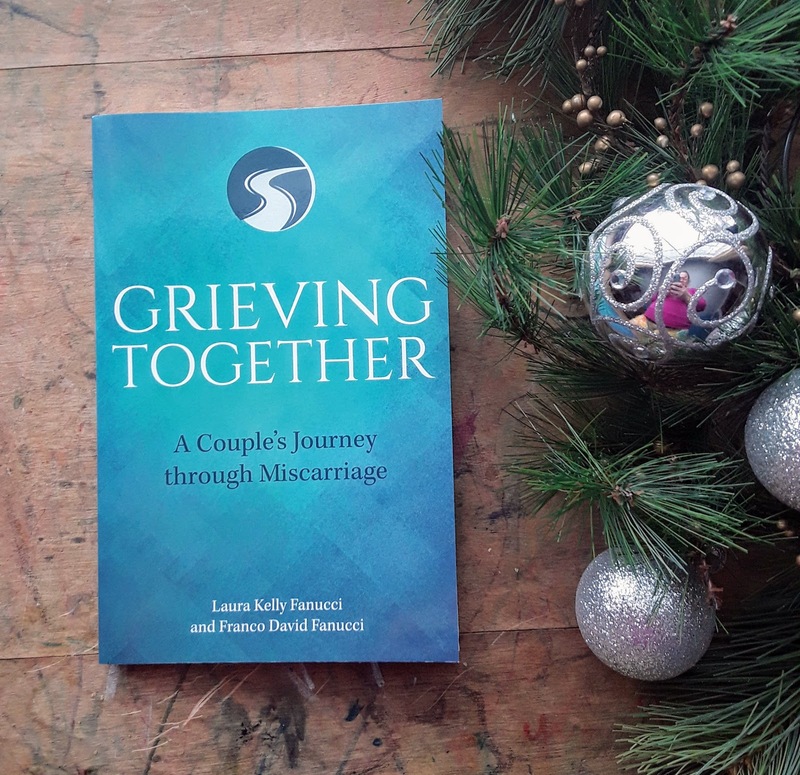 I also have the grieving together book on my Christmas list. How to chose just one! 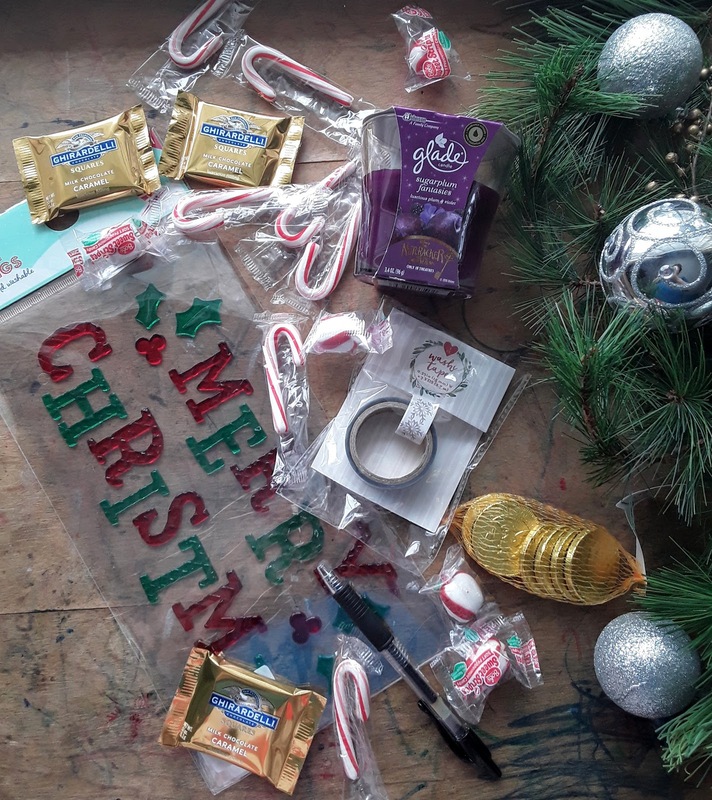 So many wonderful gifts! I’d love the chewslife necklace and the our lady doll for our newest baby due in April. Thanks for the chance to win! I love theAdvent garland and the St. Nicholas and St. Lucy dolls! I love the dolls, both the Mary one and the St. Lucy & St. Nicholas ones. The Holy Family Candle!! So beautiful ! I need to confess that my main reason for choosing that as my favorite is that all my other candles and decorations are broken from loads of children. Truth. The calendar for me and the miscarriage book for a good friend are my favorites. Thanks! Bonnie, this is so great! I think my favorite things are Kendra’s calendar and the holy family candle! All the items are wonderful! If I must pick one favorite it’s the advent garland. Thanks and Merry Christmas! Marzipantz dolls - those are adorable! I would be most excited about the Marzipantz dolls! Thanks so much Bonnie! The dollsa are super sweet! That Beauty Counter gift and the grieving together book are my favorites but everything looks awesome! I LOVE the doll from Marek Made!! The beautiful simplicity is perfect for a doll of Our Lady! The saint dolls are so sweet. And that votive candle is beautiful! So many awesome choices! I think the St Nicholas cookie cutter and The Grace of Enough are my top two. I am most excited about the Marzipantz dolls! My daughter would love them! How can I choose just one?! I guess if I have to, I am most excited about Nell’s beautiful wall quilt! It would look perfect in my son’s playroom! Those marzipantz dolls are 😍. That emoji is an adjective right? So many wonderful gifts!! 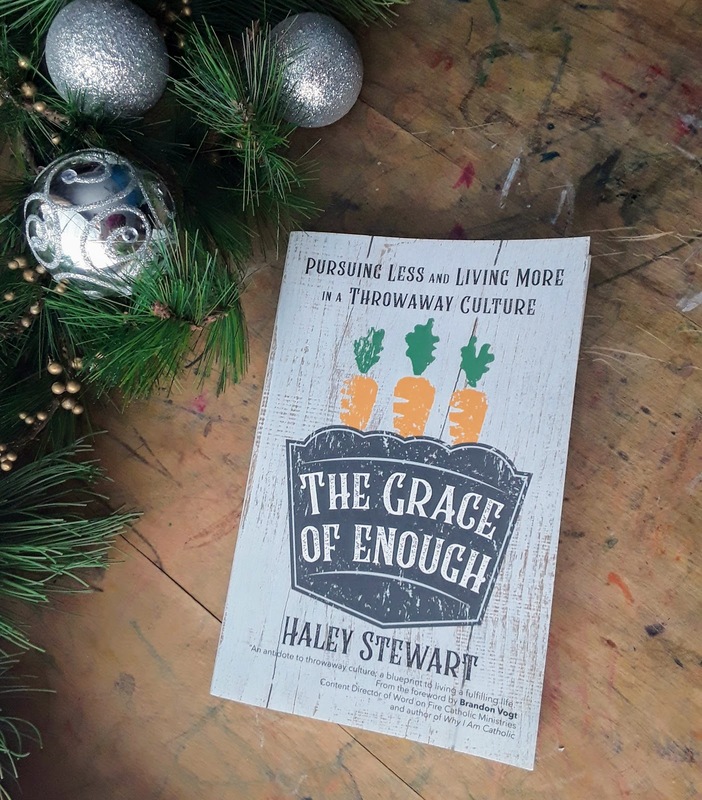 I would love to get my hands on The Grace of Enough and the The Catholic All Year Calendar. Thank you for your generosity! The Catholic All Year Liturgical Calendar!! They’re all so beautiful & meaningful! I’ve been really wanting to read the books you included! Obviously homemade chocolate chip cookies. :) This is seriously an amazing giveaway. I've so enjoyed checking out all the donor's amazing work! So many beautiful things! I especially like the Marekmade Our Lady doll and the St. Nicholas cookie cutter. So many favorites. 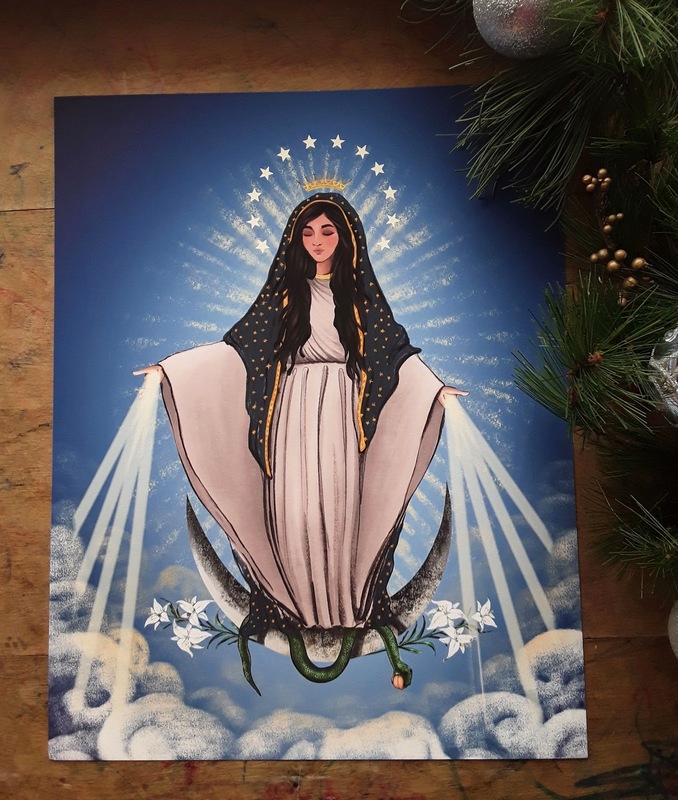 I would love the mother of heaven and earth print. Dktauke@gmail.com. Thank you!!!! 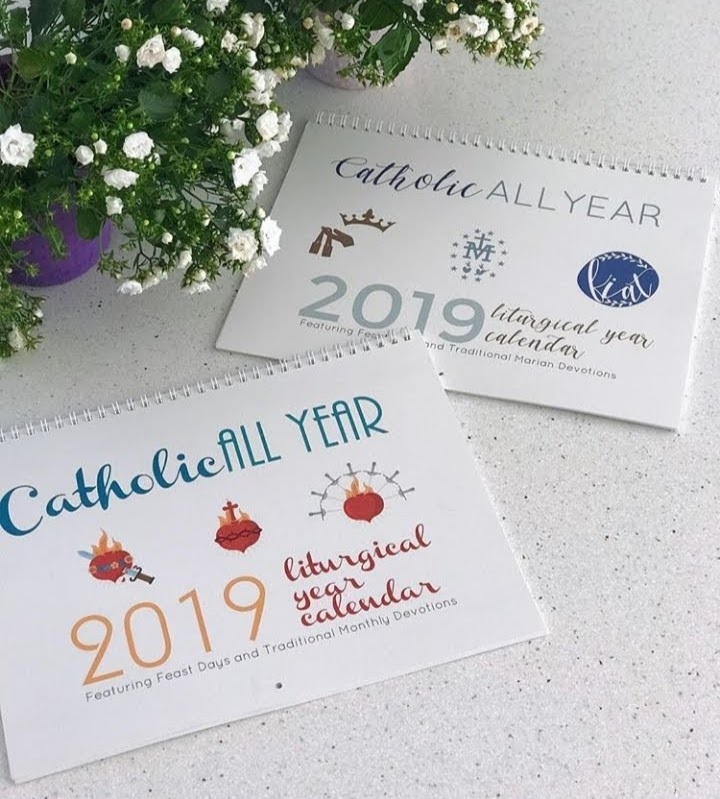 Love the Catholic All Year Calendar! Thanks so much for doing this giveaway and introducing to these creative Catholic vendors. I love that candle and the MarekMade Doll! I just love that you put this on every year! 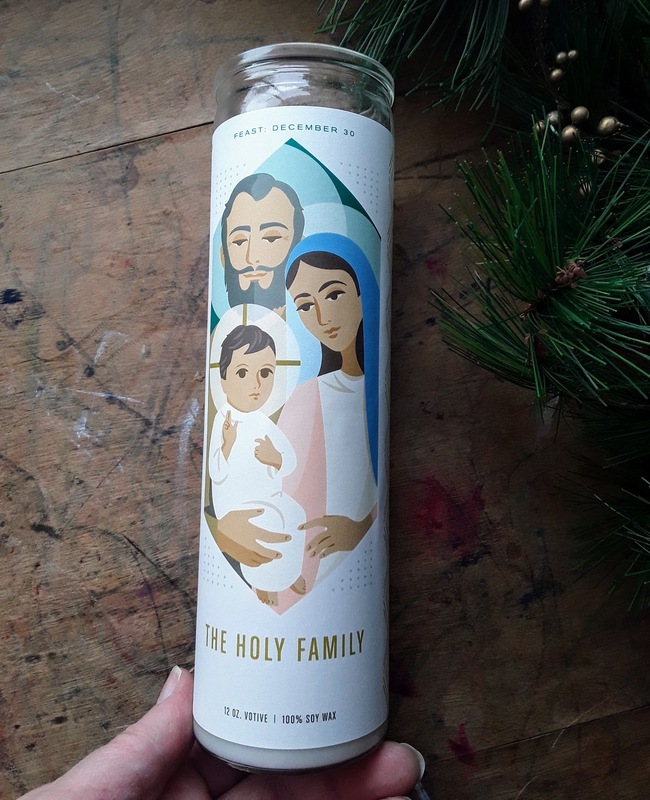 I'm most excited about the Holy Family candle from Providential Co.! I'm most excited to win the necklace! Check out this fanciness!!! I keep hoping luck will strike twice. As far as most excited... the homemade chocolate chip cookies... duh! Oh goodness this is amazing! How can you pick which is the favorite??!! I love it all! I’d love to share with my family. Ok anyway for rules sake, I love Kendra’s Catholic all year calendars. Definitely on my “to get” list but also the felt wall rosary. Hope I win but excited for whoever does!! The Catholic All Year calendar and the print of Mary.